In this all-electric drag race, the eerie silence of the two EVs flying down the strip is not something we will ever get used to. But their raw speed is pretty impressive. 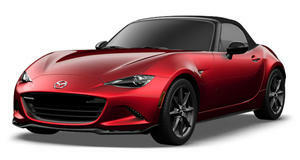 Especially the Mazda Miata, which comes with a 333-volt lithium-ion pack powering a pair of electric forklift motors fitted to the rear wheels. Coming up against a Tesla Model S with the performance pack, which includes a retuned suspension and 21-inch alloys wrapped in Michelin Pilot Sport 2 rubber, the electric Miata manages to put down a 9.27-sec quarter-mile at 142 mph. 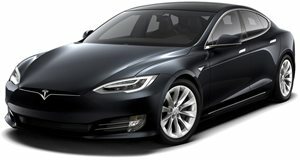 The Tesla completes the 1320 yards in a pedestrian 12.72 secs at 102 mph. Eat that Elon.